There are 135 districts, 866 public schools, and 84 charter schools in New Mexico serving 337,225 students. 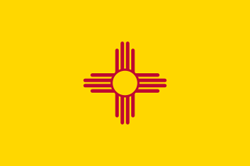 Financially the state of New Mexico spends approximately $11,073 per student. There are 21,957 full-time teachers receiving a total of $1,227,588,088 in salaries and $387,734,585 in total benefits. 207,741 students receive a free lunch and 20,486 receive a reduced-price lunch.